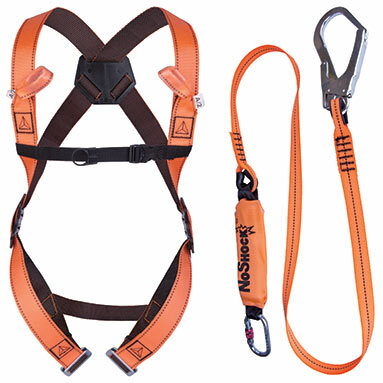 Full body harness with 2 fall arrester attachment points (front and back). Adjustable to fit chest up to 42" and waist up to 43". 2m energy absorbing fall arrest lanyard. 1 screwgate karabiner - double-locking, 17mm opening. Components conform to EN355, EN361 and EN362 standards.